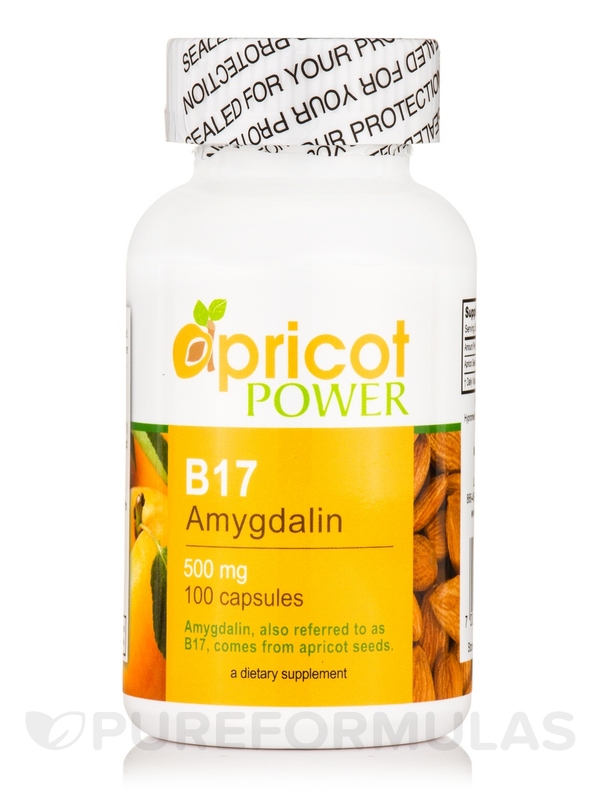 I found this B17 (Amygdalin) 500 mg by Apricot Power to better priced on Pure Formula's. This is a great product for those who have tested for it and are fighting cancer. I was able to take 500mg 4 times a day got a month. After that it had a harsh effect on my digestive track and I backed off to one a day until my 100 capsule bottle was finished. 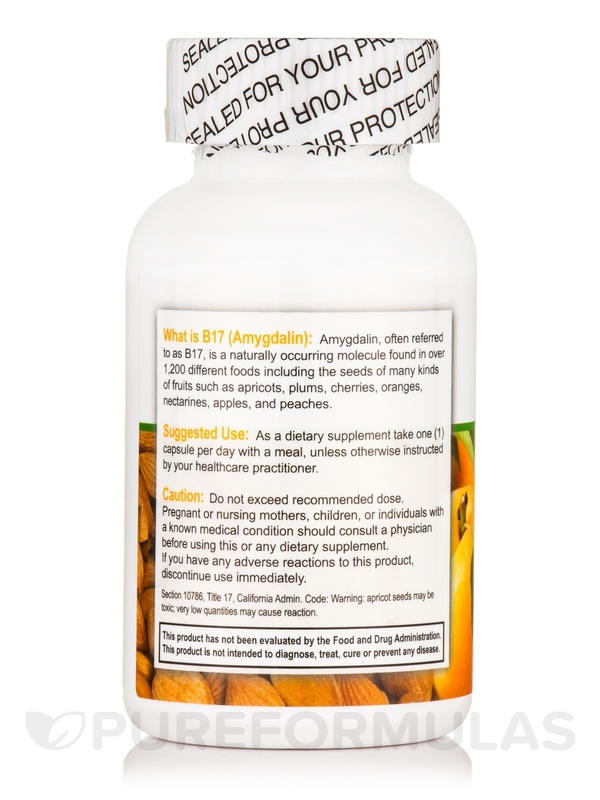 Amygdalin‚ often referred to as B17‚ is a naturally occurring molecule found in over 1‚200 different foods including millet‚ barley‚ sorghum‚ lentils‚ mung & fava beans‚ blackberries‚ and the seeds of many non-citrus fruits. 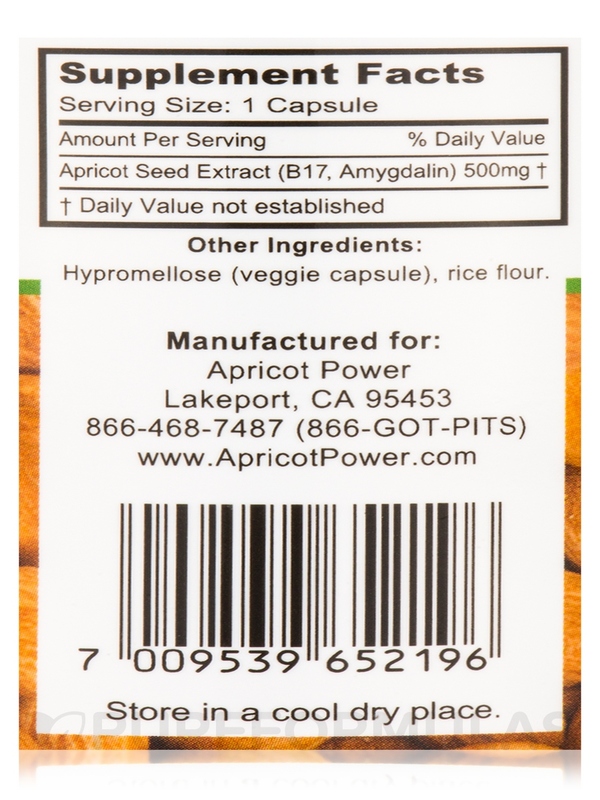 Other Ingredients: Hypromellose (veggie capsule)‚ rice flour. As a dietary supplement take one (1) capsule per day with a meal‚ unless otherwise instructed by your healthcare practitioner. 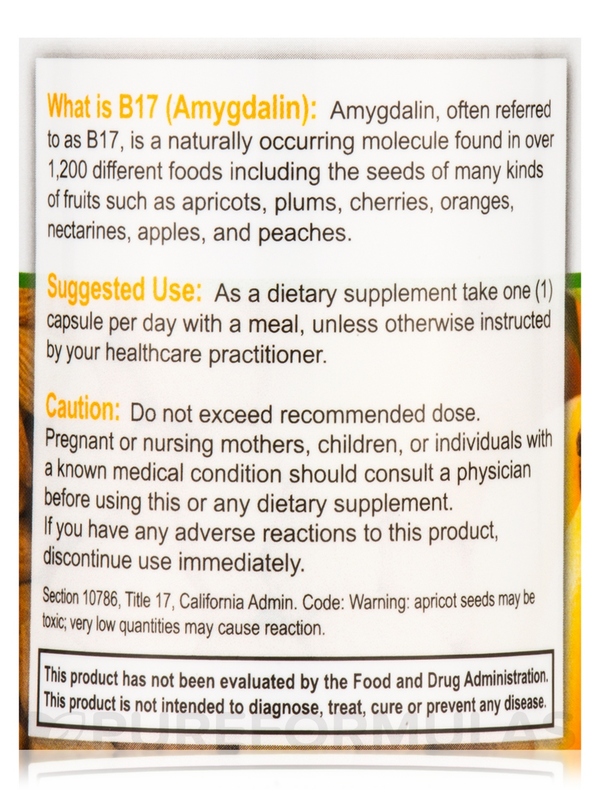 Pregnant or nursing mothers‚ children‚ or individuals with a known medical condition should consult a physician before using this or any dietary supplement. If you have any adverse reactions to this product‚ discontinue use immediately. That it is a capsule. 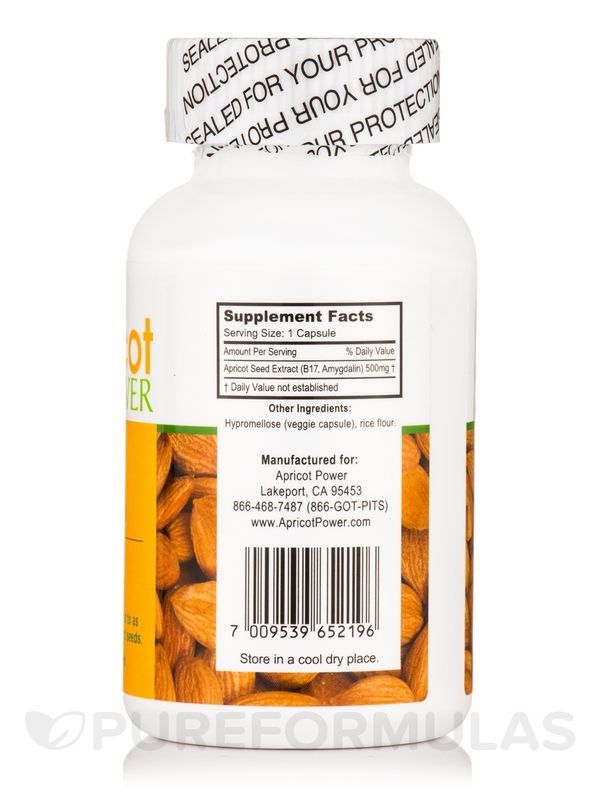 I love being able to take the capsules vs eating the apricot seeds. Very hard on the stomach.